Pittsburgh Doors and Closets can replace interior and closet doors in just 4 hours or less thanks to our unique door measuring technology & professional service. We also create custom Closet, Office and Garage Organizers to fit everyone's needs. 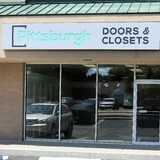 Pittsburgh Doors and Closets is an authorized Dealer for ONE DAY DOORS & CLOSETS. One Day Doors & Closets is the only company in the industry offering Tru-fit, custom milled doors, factory finished with complete installation for the whole home in one day. We use patented 3D measurement technology and robotic automated cutting to ensure architectural precision EVERYTIME, reseulting in lower overall costs and minimal disruption to the home renovation/construction project process. Its's a win-win for everyone. Signature Door Inc., is a family owned and operated company, manufacturing quality custom wood door units, decorative glass, hurricane rated door units (Miami-Dade & Florida Approved) entryways and fixed windows, fire rated doors, bi-folding doors, dutch doors. We manufacture entirely in Altoona, Pennsylvania. We work with the homeowner,dealer, builder, designer and architect to manufacture an entryway suited not only to the home, but also to the conditions of the location where our products will be used. We have manufactured products and entry systems for multimillion dollar private residences, churches, synagogs, temples, hotels, universities, historical reproductions and at least one embassy that we know of. We love to create using your ideas, creating a one of a kind entry system. We can manufacture you a single slab door or furnish you with the entire system - including pre-hung, stained and clear coated (or painted), install the locks and hardware (including multi-point lock systems and commercial panic hardware), casings, security glass, peep sites, kick plates, doorknockers, the list goes on and on. Please look through our gallery of jobs and you will see, all panel doors, decorative glass doors, bi-fold doors, dutch doors, screen (combination) doors, and just about every shape and style that you can manufacture out of wood. Thank you for looking, and if we can help you we can be reached at 800-741-2265 or sales@signaturedoor.com. Every day homeowners are deciding to make the commitment to home improvement projects, both grand and petite. When encountering such projects on your own, difficulties may arise. 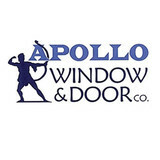 At Apollo Window & Door we have 40 years of experience in the industry. This means we know how to handle any potential remodeling issue, with ease. With a well-respected reputation, at Apollo Window & Door we strive to deliver top quality workmanship, a commitment to a clean work environment, and an overall air of professionalism and perfection for your home project. Founded in 1950 by Tom and Peg Giel, our company was incorporated in 1974. During the 1980's, founders and son worked to transform the "mom and pop" shop to a corporation that today has 35+ employees, with 25+ full-time trucks to service their customer's needs. Thomas V. Giel Garage Doors, Inc. furnishes and installs garage doors, openers, entry doors, storm doors, aluminum awnings, and retractable awnings & screens for residential and commercial customers. We work with customers to help discover what is important for them when replacing, maintaining, and servicing any of our products. 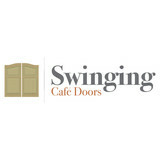 We pride ourselves on designing, manufacturing and selling top quality unique custom made swinging cafe doors and saloon doors. We custom make every set of swinging cafe doors to our customer's specified opening size. We do the hard work for you.... with your door opening size we will calculate the correct door dimensions allowing clearance for hardware and between the swinging cafe doors. You will enter your door opening size when adding the cafe doors to your cart. We send you everything you need to hang your new set of cafe doors including the hinges. Whenever New Kensington Fast Locksmith is called on to help you with your emergency, automotive, residential or commercial locksmith service, we deliver the best quality of services possible. This is due to the fact that we only hire the best and most qualified locksmith services in the area. 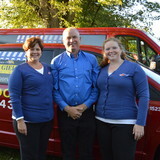 No one knows better than we do, how to offer our customers the best service experience possible. In order to ensure that the job is done right, you’ll have to rely on the services that we have to offer to you at New Kensington Fast Locksmith. Many people turn to us because they also realize that we are available to serve them 24-hours a day, 7 days a week. Give us the chance to show you why we are the preferred locksmith service in New Kensington by relying on us when you need a locksmith. We do more than just make keys and we’ll show you if you give us the chance. To make sure you’re able to get exactly what you pay for, you’ll need to rely on someone with the proven ability to handle the problem, New Kensington Fast Locksmith. We appreciate your business and look forward to showing you. You can always rely on the services of Pine Locksmith Pros whenever you need a residential, emergency, commercial or automotive locksmith. With our reputation, you can’t go wrong by turning to us for your service needs. Put down your directory and give us a call. We assure you of the best locksmith experience possible. Our locksmith technicians are professionally trained and prove they have the skills needed to address any of your service needs. When you turn to Pine Locksmith Pros, you can be sure that we will be able to deliver the quality of service that you want and deserve. You don’t have to have to handle the problem on your own when we are just a phone call away. Let us know how we can be of help to you and we’ll be there in a hurry. With our 24-hour mobile locksmith services, you’re never too far from a Pine Locksmith Pros locksmith. You are our priority and we show you with our actions. Being able to offer you the best services possible is easy because we have the best locksmiths around. Give us the chance to show you what we can do by turning to us for your service needs. Make sure you can get what you pay for relying on us for your service needs. You won’t regret that decision, this we assure you. If you’re not happy with our services, we are not happy with our services. Take the time to find out why our services are preferred over our competitors and we are sure you’ll find the value in calling on us to assist you with your locksmith service needs. Give us a call and you’ll be able get more than you pay for. We stand by our work and give you guaranteed satisfaction. Shirey Overhead Doors was founded in 1972 by President Allen R. Shirey. Shirey’s outstanding reputation has been built on the philosophy of prompt and professional customer service, as well as competitive pricing of our high-quality products. This ensures that our customers’ needs are met and exceeded, from project inception to completion. Shirey’s family-owned and operated business has been serving western and central Pennsylvania since 1972. To better serve our customers and extend our service area, a second location was opened in Waterford, PA, in October 2002. Both locations offer a full line of residential, commercial and industrial products. Shirey’s has the distinction of being western Pennsylvania’s largest distributor for Raynor Garage Doors, the garage door industry leader. We’ve consistently been awarded the “Winner Circle Award” since 1995. The award is presented to the top 50 Raynor distributors worldwide. We consistently rank in the top 20 out of over 700 distributors. The Shirey family consists of knowledgeable sales associates, professional office personnel and highly-trained installers, to meet and exceed all of your sales, service and installation needs. Shirey’s also offers free estimates! From compromising your homes security to increasing heating and cooling costs, an improperly installed or damaged door can cost you. Exterior doors, such as front doors, need to be tough against the elements but easy on the eyes; interior doors need to blend in with your existing aesthetic, but also function well for each room they are selected for. Needless to say, door decisions can be daunting; luckily, door dealers and installers in Strattanville, PA can help you select, design and install doors that are perfect for your home! What kind of services do Strattanville door dealers provide? Door dealers are responsible for a variety of services, including door installation, replacement, door repair and custom door design. If you need a new door, Strattanville, PA door dealers will help you determine what kind you need, as well as shape, color, size and more. From barn doors to French doors to front doors, these professionals can help you choose, install and maintain your door investments. Wood doors are beautiful, versatile and tend to be the most popular choice for both interior and exterior doors; they are easy to custom build, and include oak, cherry, walnut, mahogany, maple, fir and pine. Some standard wood doors have MDF cores wrapped in wood veneers, which minimizes the chances of warping as real wood expands when wet and contracts when dry. If your heart is set on a wood door but you think the Strattanville, PA climate might cause it to warp, talk to your door professional about a furniture-grade veneered door. Aluminum doors have an insulated core and come in a variety of colors and finishes. With a baked-on enamel finish, they won’t rust or need repainting, and many come with a 20-year warranty. Next to wood they are the most expensive and have to be custom-made. A Strattanville, PA door dealer can help you find a reputable aluminum door manufacturer. Find door dealers and installers in Strattanville, PA on Houzz. Look in the Professionals section of our website and search for Strattanville, PA door dealers and installers. Read reviews, look at project photos and see how a pro can help with your home improvement project.